Sandra Cardona’s path to working in hospitality started with her love of art. Growing up, Cardona wanted to be an artist. In college, that love of creative expression led her to major in architecture, where she promised herself to lean into the creative aspects of the discipline whenever possible. After graduating from Pratt Institute with a bachelor’s in architecture, she took a position with William B. Tabler Architects, a respected New York architecture firm that specialized in hotels and hospitality design. It was there that she honed not just her architecture and design skills but also her ability to get things done—and done well. From there, she took several different positions in the hospitality design field and worked on a variety of projects, including restaurants, luxury hotels, and spas. Then, in the early 2000s, she began to connect with Hersha Hospitality Trust. She initially worked with them as a client representative, but when they were looking to open an in-house management team in 2011, Cardona knew joining them full-time could be a mutually beneficial fit. She started as a senior director and has since become the vice president of development and capital planning. That open-mindedness toward lateral moves is something she would advise for anyone interested in the hospitality field. “I would say don’t be afraid to get your hands dirty with working in positions that are not an obvious step up—that may be a lateral move—as it may expose you to something that ultimately can give you more experience in an area that could then take you to the next level,” she says. 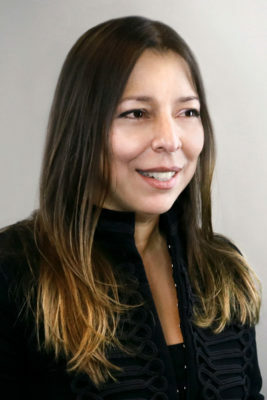 In her current position, Cardona is responsible for guiding projects through the different stages of the construction process. She has a hand in everything from assigning projects to project managers to evaluating the scope of projects to working with ownership to determine a budget and a schedule. She leads a team of 11, who have a diverse array of specialties and levels of experience. Cardona is proud of their work and likes to think of the eclectic group as the “A-Team.” Because most of their work is behind the scenes, Cardona feels like they are able to slip in, do what needs to be done, then hand the project over and disappear. Cardona believes that her previous experience as an architect and designer has been key to her success while working in development. “Even though on paper my role might seem far from where I started, I feel like my architectural background has been invaluable to me,” she says. “It has allowed me to collaborate with all the consultants I work with and really engage with them, given my experience as a designer and architect.” Her experience allows her to feel a true rapport with any design team she works with, which is helpful in creating a sense of collaboration. That rapport is important when working on as many large-scale, geographically diverse projects as Hersha does. The company’s 51 hotels totaling 7,804 rooms are located in New York; Washington, DC; Boston; Philadelphia; Miami; and select markets on the West Coast. Currently, Cardona’s projects span from Florida to Washington, DC, to California. Her projects and team keep her busy, but when she gets a moment to relax, Cardona returns to that initial love that spurred her along her path from the beginning: art. She has continued to pursue art in her free time, primarily through painting with mixed media. Currently, she is working to build a body of work, with the aim of eventually displaying them publicly. In art and business alike, her desire to express creativity and connect with people through her creations has driven Cardona’s success—and will continue to drive her as she looks ahead. 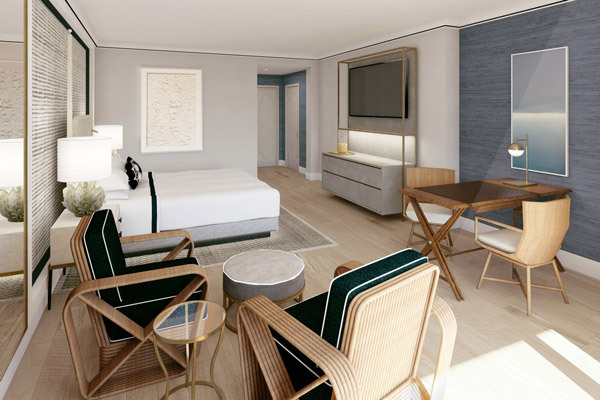 In Miami, Hersha is working to rebrand the historic, oceanfront Courtyard Cadillac Miami Beach into an Autograph Collection hotel—a complete redesign that will include new guest rooms and corridors, a new lobby, and a revitalized restaurant and tiki bar right on the boardwalk. The renovation will also include exterior enhancements to the site’s historic pool, the cabanas, and the landscaping. 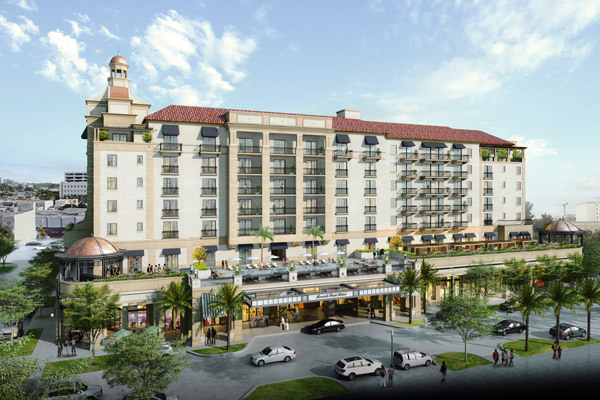 Also in Miami, Hersha is currently working on the Ritz Carlton Coconut Grove luxury property. The current renovation is focused on the public areas, including a repositioning of the restaurant and bar, landscaping, and revamping of the pool areas. Hersha is also in the process of constructing two model rooms for a planned guest room renovation project later in 2018. 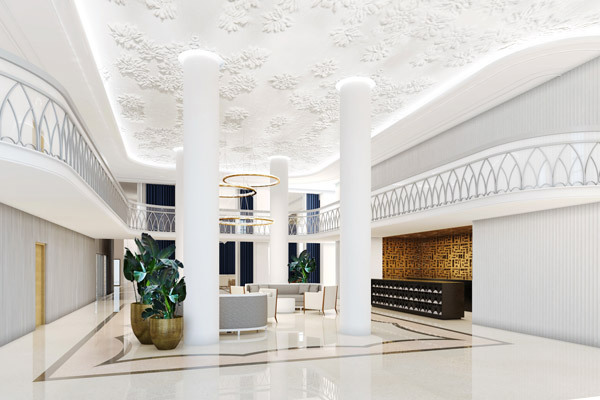 In Coral Gables, Florida’s Merrick Park district, Hersha is developing a ground-up 135-room luxury hotel that will feature 20 suites and one penthouse suite as well as an indoor-outdoor café, a full-service restaurant, a fitness center, a rooftop garden, and a pool. Photos: Brandon Barre, Courtesy of Bill Rooney Studio, Courtesy of Nichols Brosch Wurst Wolfe and Associates, Inc.